You’ve hit the “Daily Double”… that’s right creature feature enthusiasts, two incredible topics for the bargain basement price of FREE instead of our standard regular everyday price of ONE FREE! And who said the internet wasn’t a good way of saving money! 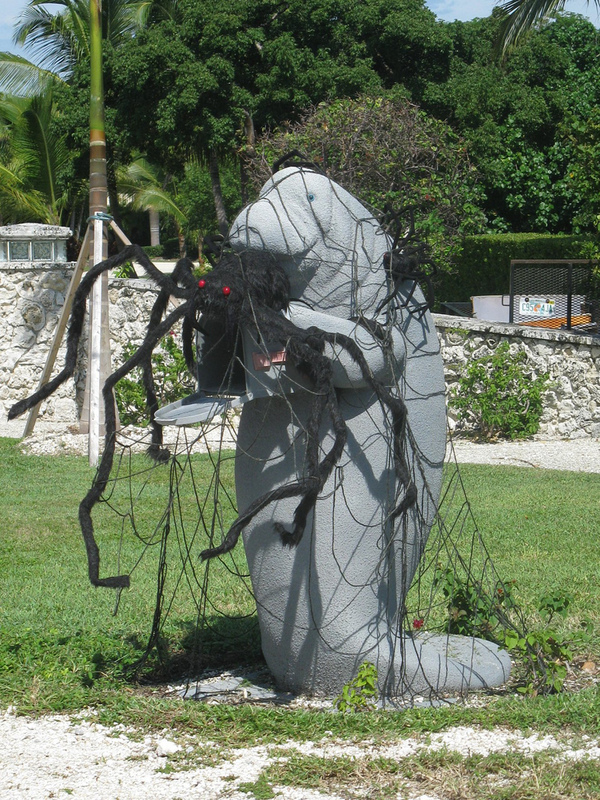 🙂 Today’s topics are: Key West’s Halloween House & Seasonal Manatee Mailbox. Key West has many homes (as any town) that goes all out for any particular season. 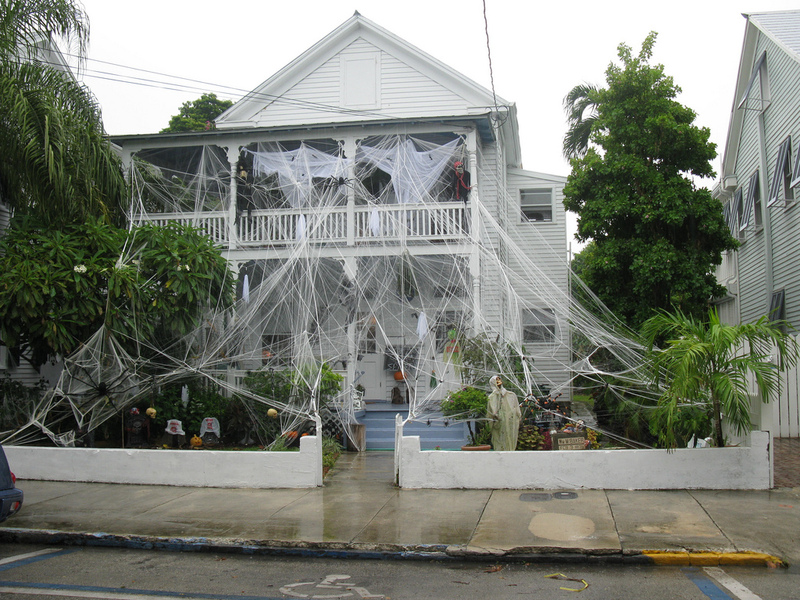 Pictured here is Key West’s Halloween house decked out with a wide array of ghouls, pumpkins, witches, gobblings, headstones, and the most spider webs I’ve ever seen. You can find this creatively decorated home on the west side of town on either Fleming or Southard Street (I’d bet Fleming). The Manatee Mailbox is always a treat I look forward to and if different, I always stop and take a new photo for my collection. I’ve seen the Easter version, Halloween version, Hula Skirt non-seasonal version and yes… I’ve even seen a naked manatee (not a pretty site either 🙂 ), probably caught in between costume changes. I’m actually looking forward to this years Christmas version when I return for the annual New Years festivities. This will bring a smile to little ones wanting to share a piece of souvenir film with this Sea Cow / Manatee. 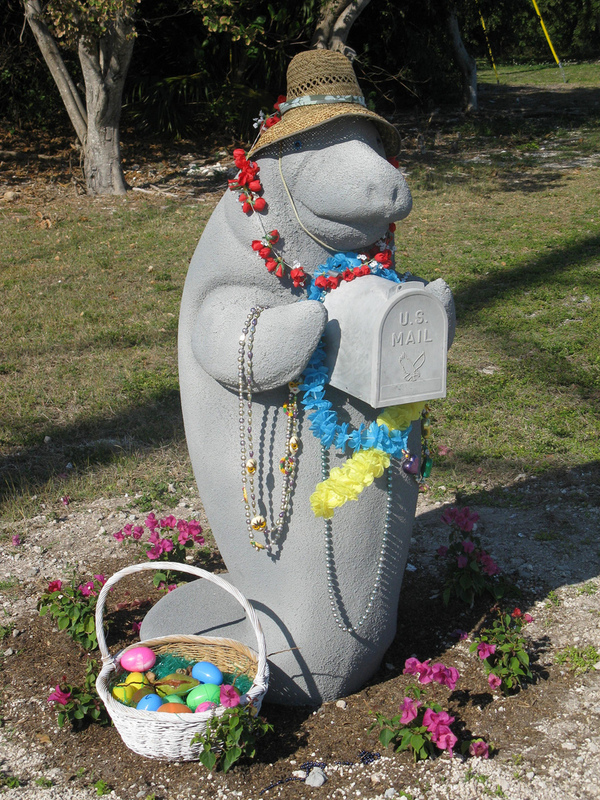 Believe me, there are literally 100’s of these Manatee mailboxes throughout the Key’s & Key West so here’s how and where to find this one. 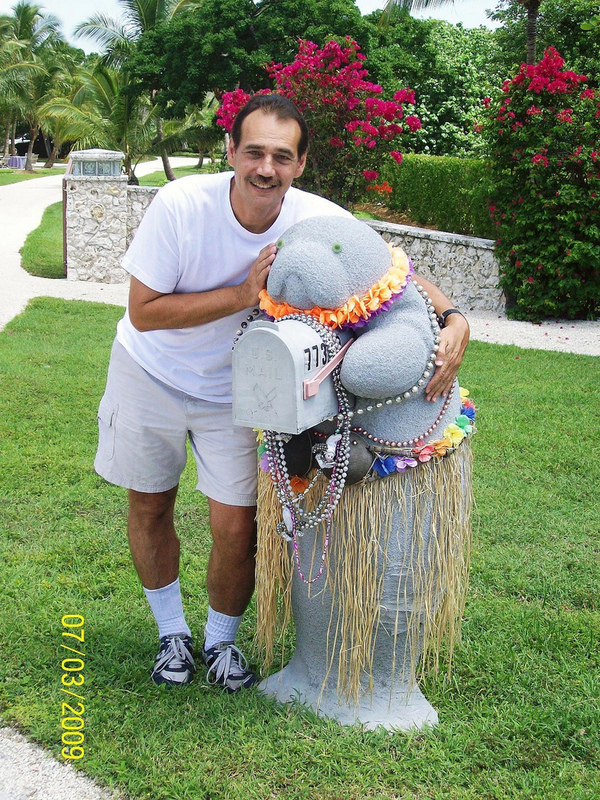 This mailbox is available YEAR round and can be found in the Florida Keys, not Key West at Mile Marker 77.3 bayside just south of Robbie’s Tarpon feeding on US-1. Both are FREE to stop on by and collect your picture for posterity.